So I've switched up my hair again, gone a bit shorter and have blended out my balayage a bit more by bringing the blonde nearer to my roots... hence making it look a bit more natural overall. Luckily I've had a few additions to my hair care routine at the same time to help keep my hair feeling soft & looking smooth, despite the colour damage. 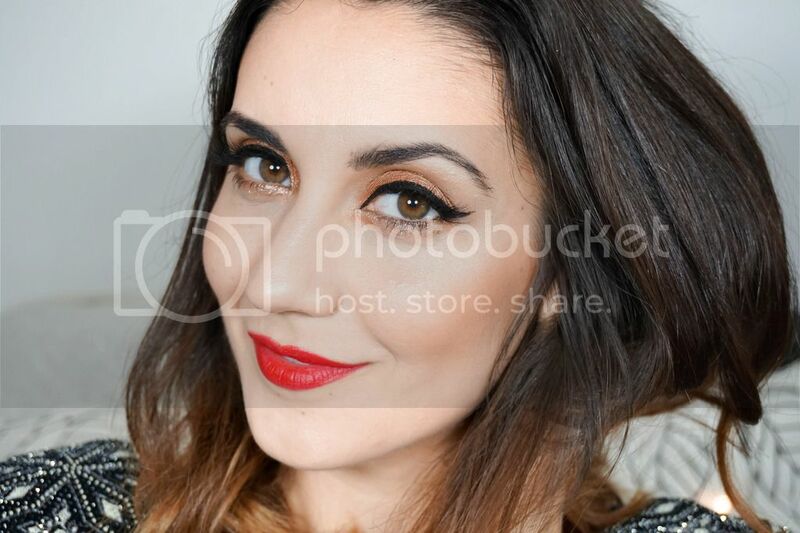 So I thought I would share with you my simple routine including some of these new products, as well as my usual go to products (which I've no doubt talked to you about before). 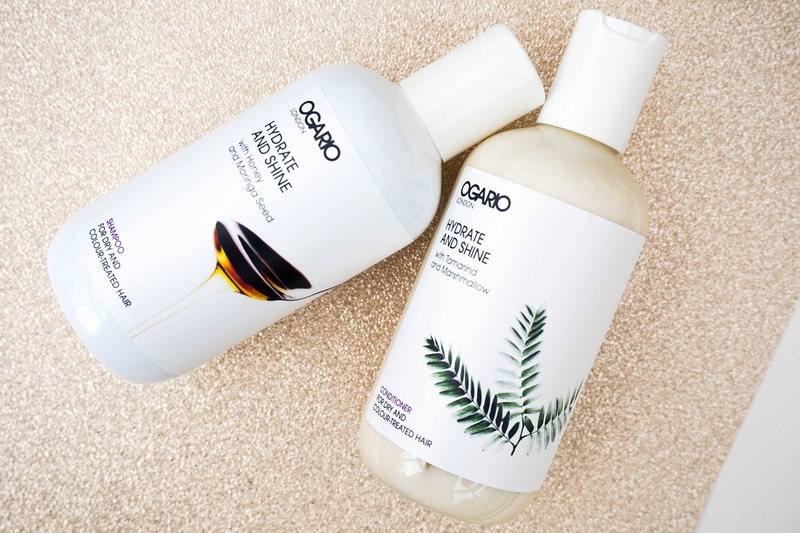 First up the newest additions to my routine is this shampoo and conditioner duo from Ogario London, in particular their Hydrate & Shine* range. This range is designed specifically for dry & coloured treated hair, so it's been introduced into my hair care routine at a perfect time. After colouring my hair I usually experience more dryness and frizziness, due to the damage caused by the chemicals used in the salon so my main aim is to get my hair back to good health. The range is packed with plant oils & extracts to restore shine to the hair. 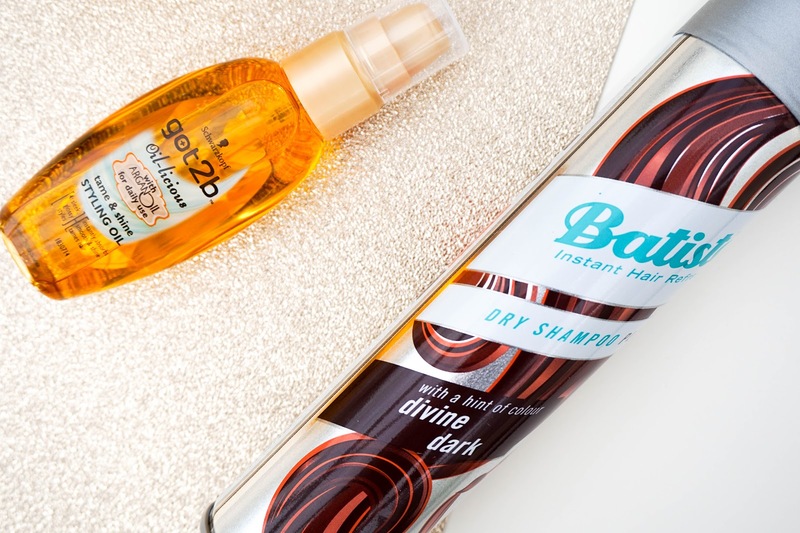 The shampoo has main ingredients such as Honey & Moringa Seed, with a gel consistency and it pours out in a golden colour (pretty much looks like honey to be honest). It doesn't lather up as well as other shampoos, but I've learned that is actually a good thing as it doesn't strip my hair of its natural oils. The conditioner has a rich texture, almost feels like a moisturiser for the hair, making it easy to apply through the ends of my hair. The main ingredients Tamarind & Marshmallow, give it a really nice scent and deeply nourish the hair overall. I've been using this duo since before getting my hair treated and I have to say I've been enjoying the results it gives me. 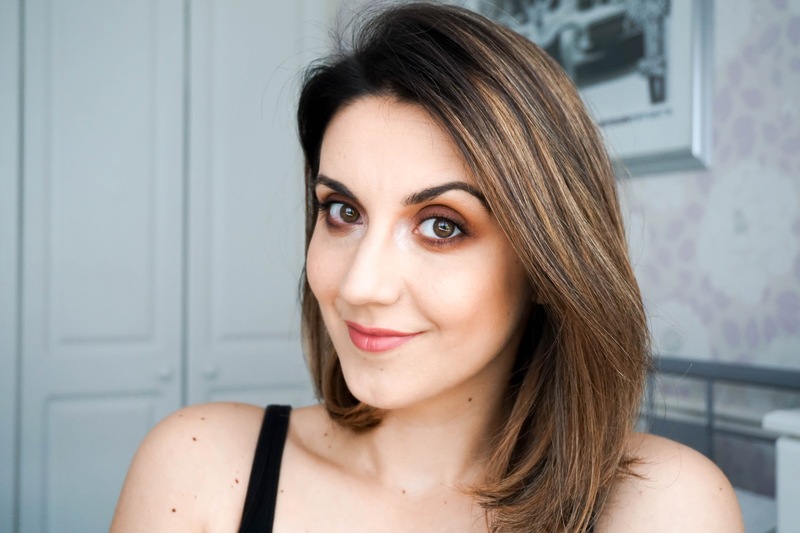 I don't have a lot of extra products in my routine apart from the usual hair mask and dry shampoo, which I won't go into too much detail as they have been mentioned many times before here on the blog (most recently in my hair heroes post here). Not too long ago I was eager to add a nourishing oil to my hair to help keep the frizz away even further and I picked up the Schwarzkopf got2b Oil-licious Styling Oil for a super affordable price of 4 euro here in my local Tesco. I didn't want to spend too much as I wasn't sure how I would get on with a product like this, but I'm definitely impressed so far. All I need for my shorter style is one pump spread evenly on my towel dried hair, which definitely adds a lovely shine once it's been styled (aka quickly dried or straightened). The main ingredient Argan Oil feels really nourishing, but at the same time it has a lightweight texture which absorbs easily and doesn't leave hair looking greasy (big no no). I also like that it helps to keep any crazy flyaway baby hairs looking smooth. Lastly I've got my few hair tools... a Tangle Teezer Brush which I have definitely told you about before, because it's all I've been using for over 2 years now. Secondly it's my super old GHD straightener and when I say old I mean it's really old, I've literally had this since I was 17 and I'm almost 29 (you do the math). 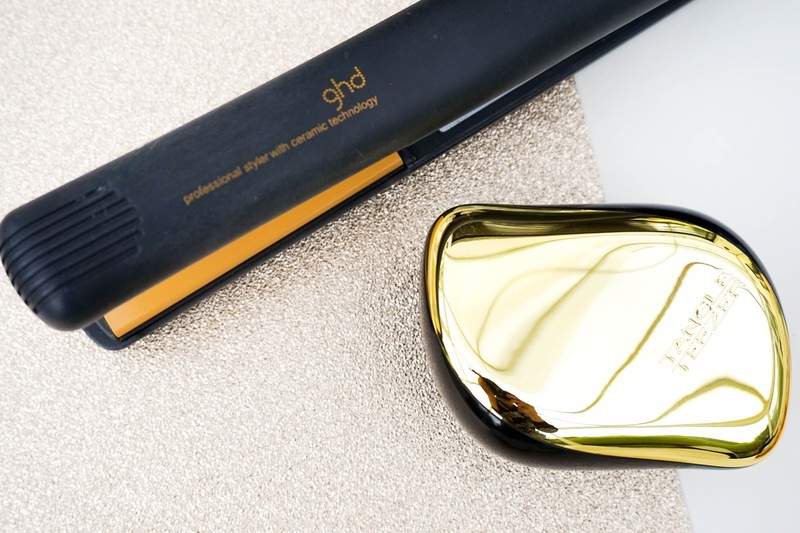 I can't believe it's actually lasted so long without burning down, but it's definitely made me realise that GHD is a reliable brand and if it does break down on me I know what I will be investing in. I don't actually use straighteners very often and if I do, it only takes me a couple of minutes in total to make my hair look presentable. So that's all from my super simple hair care routine, I told you it was simple and fuss free... mainly because I just don't have time to do anything more elaborate than that. Plus if I did have any extra time I'm just quite lazy to be honest and would still opt for the easiest way out. I know I will have to add silver/purple shampoos and toners when I go back to London, to help keep the brassy orange tones away. Actually if you have any good suggestion please let me know in the comments... 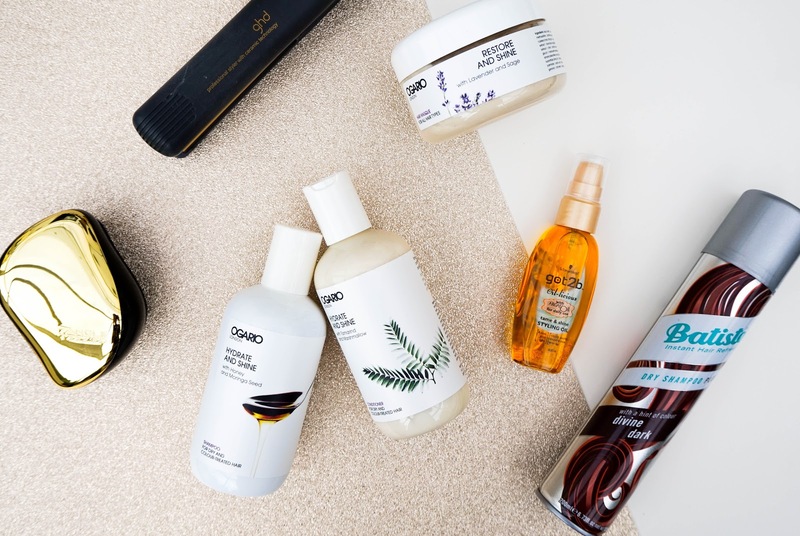 I'd love to hear your top hair care tips and if you've tried any of the products I have here?